Frugal living gets a bad rap sometimes. A good example of this is the TV show “Extreme Cheapskates” on TLC, which goes out of its way to show penny-pinchers in the worst possible light. Tune into this show and you’ll see one self-proclaimed cheapskate proudly scooping leftovers off other diners’ plates in a restaurant while his wife cringes in the background, or another one serving her friends food that she scavenged from a dumpster. 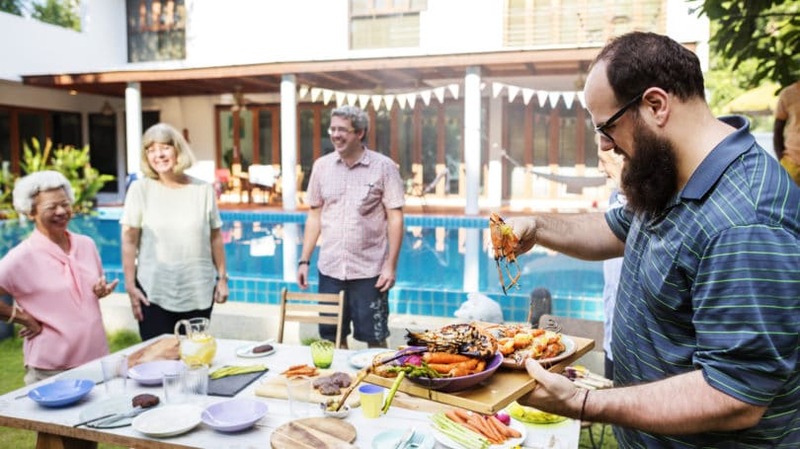 Watching these folks, you wonder: Is this what frugality really means? Does saving money have to mean acting stingy, embarrassing my family, and alienating my friends? The answer is a definite no. The way these people are behaving isn’t really frugal; it’s cheap. Some ways of saving money are healthy and helpful. They’re good for you, good for others, and good for the planet. However, other money-saving strategies are harmful, either to others or to yourself. 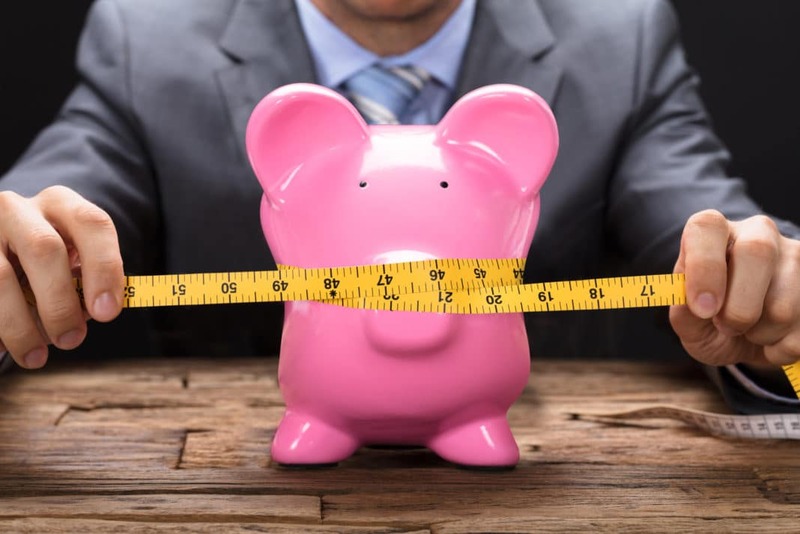 There are several kinds of cheapskate behaviors that cross this line – and for every one, there’s an alternative that can save you just as much money in a healthier way. One clear difference between frugal folks and cheapskates is their ethical standards. Frugal people want to save money, but not by hurting others. Here are a few examples of penny-pinching practices that don’t stand up to strict moral scrutiny. Cheap: You’re buying a product with a $20 mail-in rebate. It’s such a good deal, you think you’ll buy two – but there’s a note at the bottom of the rebate form limiting the offer to one rebate per household. However, you figure you could get around this by filling out a second rebate form using a different address, such as a post office box. Legally speaking, this is a form of fraud – and since you’re using the postal system to do it, it can be prosecuted as mail fraud. But even if you don’t get caught, you’re still cheating the manufacturer. If enough people did this, manufacturers would eventually be forced to stop offering rebates, spoiling a good money-saving promotion for everyone. Frugal: A better way to maximize your rebate savings is to stack rebates with sales and coupons. This savings strategy is perfectly legit and can save you a big percentage off the purchase price. Couponing sites like The Krazy Coupon Lady can help you find deals like this on the products you buy. Cheap: You’re in a hotel where a wedding reception is going on, and the trays of hors d’oeuvres entering the hall look scrumptious. No one’s really checking invitations at the door, so it would probably be pretty easy to walk right in. You could smile at the other guests, help yourself to a few handfuls of hors d’oeuvres, and be out the door before anyone realizes you don’t belong there. But aside from the embarrassment you’ll face if you get caught, those mouthwatering morsels weren’t bought for you. The wedding couple probably paid a lot of money for that food so they could treat their friends and family on their special day. By barging in and helping yourself, you’re literally taking food out of their mouths. 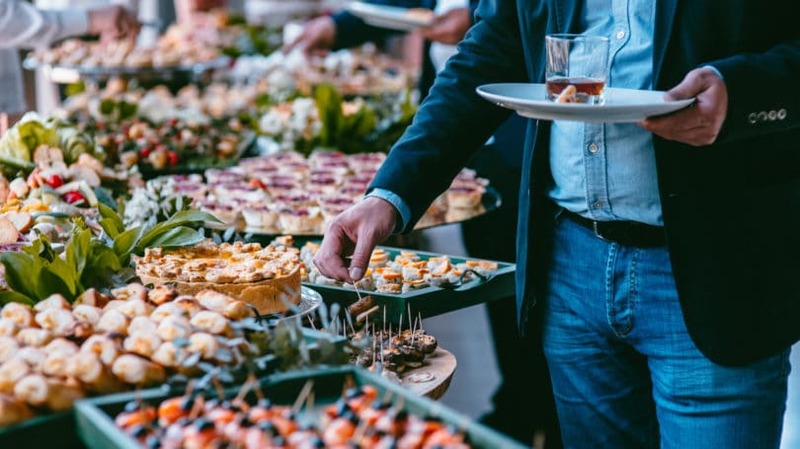 Frugal: However, if you happen to spot the picked-over trays of food heading out of the banquet hall when the wedding reception is over, you’re looking at leftovers that are probably going to be discarded. If it’s just going in the trash, helping yourself is preventing waste, not stealing. Cheap: You’ve found the perfect outfit for your big office party, but it’s way out of your price range. You think you could just buy it, wear it to the party, and then return it. After all, the store can still sell it again, so it’s not really stealing, right? Not necessarily. For one thing, you’re taking the clothes off the shelf temporarily, so other shoppers won’t have as many chances to see them. Also, when you return the outfit, it won’t be in brand-new condition. According to a 2016 BBC article, about 5% of all clothes returned to online stores get discarded because they no longer pass the “sniff test.” And even if the store can still sell it, you’re wasting a lot of the employees’ time processing the return – as well as forcing the next customer to pay full price for a garment that isn’t really new. Frugal: Instead of returning your clothes to the store, hit the consignment shop and buy someone else’s slightly used designer duds for a fraction of the retail price. You can even sell the garment back to the shop after the party, if you want, and get part of your money back. Cheap: You haven’t bought pens, paper, rubber bands, paper clips, markers, or sticky notes in years. Why should you, when you can just help yourself at the office? Your boss doesn’t pay you enough anyway, so you figure you’re entitled to a few office supplies. Likewise, you never buy ketchup, mustard, soy sauce, sugar, salt, jam, or any other condiments. You just stuff your pockets full of extra condiment packets whenever you go out to eat and take those home. This kind of petty theft hurts the company and, by extension, its employees and its customers. Your company bought those supplies for office workers to use at the office, and taking them home costs the company money – which leaves it with less to spend on, say, paying you the salary you really deserve. Similarly, restaurants have to cover the cost of all those purloined packets of ketchup by raising the prices of the food they serve. If you’re not sure whether a frugal move is ethical, the first question to ask yourself is, “Am I taking something that belongs to someone else?” If the answer is yes, that’s a clear, bright ethical line that you shouldn’t cross. However, some cases, such as the mail-in rebate, aren’t so easy to label as stealing. In those cases, a better question to ask is, “What would happen if everyone did this?” In the case of the rebate, you’ll see that if everyone double-dipped on the rebate, the manufacturer would lose a lot of money. It might go out of business, or it might just stop offering this kind of deal, which would hurt consumers. Being stingy isn’t exactly the same thing as being unethical. You’re not taking something that, by rights, belongs to someone else, but you’re still forcing other people to pay the price for your penny-pinching ways. This kind of behavior doesn’t break any laws, but it can cost you friends. Cheap: When you go out to eat, you never leave a tip. You’ve already paid for the meal, you figure, so why should you have to pay extra for the service? The tip is optional, right? Leaving off the tip is perfectly legal, but it’s also really obnoxious. Waitstaff work their butts off, and they rely on tips as part of their income. Legally, they can be paid as little as $2.13 an hour plus tips. If the tips aren’t enough to bring their earnings up to the federal minimum wage of $7.25 an hour, their employers must add enough to make up the difference, but no more. Frugal: Rather than stiff the server to save money when eating out, go to a restaurant where you can serve yourself, such as a buffet or a cafeteria. To save even more, choose a quick-serve place where you pick up your order at the counter. Or save the most money of all by skipping the restaurant completely and cooking at home. Cheap: You need a birthday gift for your sister, but you’re on a budget. Rather than buy something, you grab an old sweater out of your closet and wrap it up – even though she knows you’ve had it for years. This is a definite breach of regifting etiquette. All you have to do is think about how you’d feel if you unwrapped a present and found someone else’s old sweater to realize why it’s thoughtless and rude. Frugal: Secondhand gifts aren’t always thoughtless. If you find a beautiful cashmere sweater at the thrift shop that’s in like-new condition and the perfect color for your sister, she won’t care that you only paid $5 for it. What makes the gift special is that you picked it out with her tastes in mind. She might even appreciate the fact that it’s a more sustainable clothing choice. Cheap: Your family has decided to make its annual holiday get-together a potluck dinner. You bring a bag of dinner rolls that you picked up cheap at the store. Then you stuff yourself with your mom’s turkey, your sister’s homemade dressing, your brother’s veggies, and your Aunt Sophie’s apple pie – and you fill up a container with leftovers to take home. If you think they won’t resent that, after they shouldered all the trouble and expense of the meal, think again. Frugal: If you can’t afford to make an expensive dish for the potluck, substitute time for money. Bring a home-baked cake or a vegetarian dish that you really put some effort into. As long as you’re doing your fair share of the work, your family won’t care how much you spent. If you’re not sure whether you’re being frugal or just stingy, ask yourself, “Am I forcing someone else to pay my share?” There’s nothing wrong with wanting to spend less, as long as you’re not asking other people to pick up the slack. If your friends want to go out to dinner and you suggest dining in to save money, you all share in the savings. If you agree to go out with them but put in only $10 toward the bill when it really works out to $15 a person, you’re offloading your expenses onto them. Sometimes, in your zeal to save money, you can end up putting your own health and safety at risk. This kind of cheapskate behavior isn’t always as easy to spot as unethical or stingy behavior, but sometimes it’s obvious when you’ve crossed a line. Cheap: Your basement needs rewiring, and the prices electricians have quoted for the job seem way too high. You decide to DIY rather than hire a contractor, even though you don’t know the first thing about electrical work. You figure you can learn everything you need to know by looking at a few how-to videos on YouTube. If you’re lucky, you’ll realize this was a mistake after you’ve fried the circuit board and you have to hire an electrician to fix it – paying more than you would have for the original job. If you’re not, your bad wiring job could actually burn the house down – with you in it. Frugal: Go ahead and DIY the jobs that you can easily handle yourself, such as painting. Even if you mess it up completely, the worst that could happen is that you have to hire someone else to do it over. But for any home-repair job that could potentially kill you or destroy your home, stick to the pros, unless you are one yourself. The same rule holds true for auto maintenance. Cheap: You find a Tupperware container full of leftovers at the back of the fridge. You have no idea how long it’s been in there, and the color looks a little funny. But you can’t stand to waste food, so you just heat it thoroughly and hope for the best. This is a good way to end up with a nasty case of food poisoning. 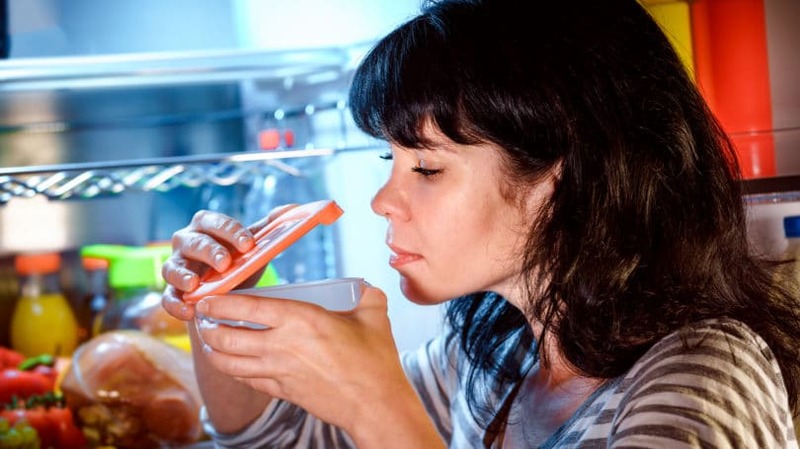 Food doesn’t go bad the minute it passes the expiration date on the container – but if it looks or smells at all off, it’s not safe to put in your body. If you’re not sure whether something in your fridge is still good, check out these guidelines from Everyday Health. Frugal: If you really want to avoid wasting food, keep better track of what’s in your fridge. Label your leftovers with the date they went into the fridge, and put the newer ones toward the back, pushing the older containers forward where you can see them. That way, you can make sure to use leftovers up while they’re still good. It’s not always easy to tell if your money-saving efforts could be putting you at risk. Fortunately, you don’t have to rely on your own instincts to figure out what’s safe. The Internet makes it possible to consult experts on any subject with a few clicks of a mouse. If you have any doubts about a money-saving move, take the time to do a quick search and see what the pros have to say. If they say it’s safe, you can proceed without worry. And if they don’t, you’ll avoid pulling a dangerous stunt that could put your life at risk for the sake of a few dollars’ savings. One the biggest mistakes newly frugal people often make is wasting time, space, or energy in an effort to save money. The goal of frugality is to make the most of all the resources you have, not just cash. So, if you’re spending a whole lot of time or using a lot of space to save just a tiny bit of money, you’re not really being frugal. Cheap: You buy a roll of two-ply toilet paper, then laboriously separate the two “plies” and roll each one up onto an empty paper tube. It takes a lot of time, but you figure it’s worth it to get two rolls of TP for the price of one. The problem is, the individual plies in two-ply TP are thinner than a single sheet of one-ply TP. So, you’re going to a lot of effort to get two rolls of an inferior one-ply paper that will probably require more sheets per use to, ahem, get the job done. Not only are you wasting a lot of time, you probably won’t end up saving any money over just buying the one-ply. Frugal: You can save more money on toilet paper with extreme couponing. Do a quick search on couponing sites like The Krazy Coupon Lady or Coupon Mom, and you’ll find that this is an item on which you can frequently stack sales and coupons, reducing the cost to pennies per roll. Plus, you won’t have to settle for one flimsy ply. Cheap: You think it’s silly to spend money on paper towels, then throw them out after just one use. So, if they’re not terribly messy, you rinse them out and hang them up on a clothesline to dry so they can be used again. You argue that this is good for the environment, too, since it cuts your paper waste in half. The problem is that you’re taking at least a couple of minutes to rinse and hang up a towel that’s only worth a few cents. Plus, even after it’s been rinsed and dried, it probably isn’t entirely clean, and it certainly won’t be as absorbent as it was the first time. Frugal: You’re right about one thing: It is silly to throw away money on a paper towel you’ll only use once. But instead of taking a lot of trouble to salvage a not-quite-clean paper towel, why not replace your paper towels with cloth rags, which you can throw in the laundry after each use? It’s a lot less work and saves you more money in the long run, since each rag can be reused many times. You can even make your own rags by cutting up worn-out socks and T-shirts, so they cost you nothing at all. 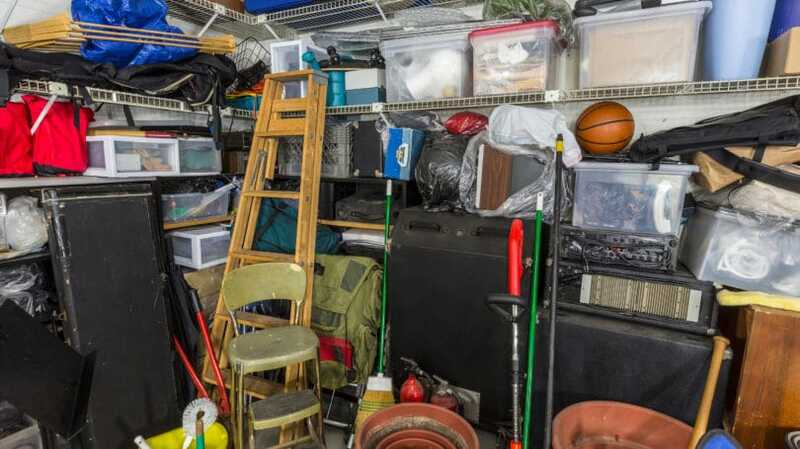 Cheap: Your garage and the closets in your house are all packed with stuff that’s been broken for years – electronic gadgets, shoes with worn-out soles, even old appliances. Even though you have no idea how to fix any of it, you can’t bear to throw it out, because you might have a use for it someday. For now, though, it’s just piled up on the shelves, alongside your huge stashes of rubber bands, plastic bags, and egg cartons that might come in handy for some project. Every so often, you even add to the collection by picking up stuff you find for free on the curb or on Freecycle. Maybe you don’t have any immediate use for it, but how can you turn down free stuff? The problem with this is that you can hardly move in your house because it’s full of stuff you’re not using. And by wasting all this space, you’re wasting other resources too. Having your closets crammed to bursting makes it harder to find anything, so you waste a lot of time hunting every time you need a pair of scissors. Maybe you even waste money by going out and buying another pair, just because you couldn’t find the one you already have. Frugal: There’s nothing wrong with saving stuff you can actually use. For instance, if you have kids’ clothes that your oldest has outgrown, you can save money by holding onto them until your younger kids grow into them. However, you have to know where to draw the line. If you can only use up to twelve plastic bags at one time, don’t hang onto the thirteenth. Likewise, if you have no idea how to repair something that’s broken, either throw it away or pass it along to someone who can fix it. Then you can put the extra space in your house to uses that really do save money, such as space for stocking up on sale-priced groceries. Only you can decide how much you value money compared to other resources, such as time or space. For instance, if you have lots of time and very little money, time-consuming habits like hanging your laundry on a line or making your own baby food start to seem worthwhile. However, you should at least be aware that you’re making the trade-off. Whenever you do anything to save money, ask yourself, “What am I giving up in exchange for this money?” Then, if it seems like a fair trade to you, go for it. When you look at it right, there’s really no such thing as being “too frugal.” Frugality is all about using resources wisely and avoiding waste, and there’s nothing extreme about that. The problem comes when your efforts to save money lead you away from the true meaning of frugality. If you ever catch yourself forcing other people to pay your way, or wasting other valuable resources in the name of saving money, that means you’ve moved from frugal to cheap, and you need to get back on track. But if you’re saving money in ways that benefit everyone – yourself and those around you – then you’re doing it right. Keep up the good work! Can you think of any other behaviors that cross the line from frugal to cheap?